Savory Scallion Pancakes are thinly rolled pancakes that are packed full of chopped scallions, and delicious flavor. Serve them as an appetizer or side dish along with your favorite Asian dipping sauce. 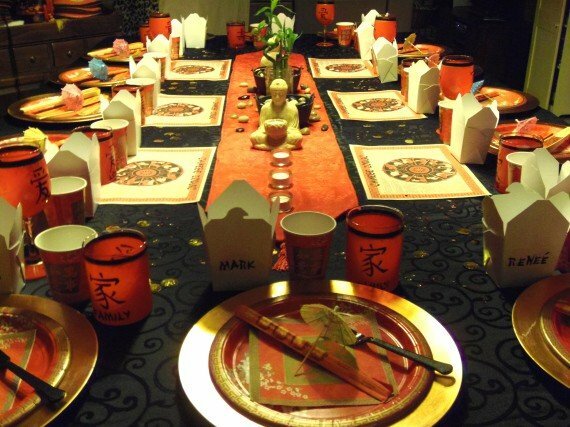 Chinese food may be my favorite cuisine to eat at a restaurant, or to takeout. That said, we don’t do it often because it gets expensive, and I always tend to eat more than my fair share because I can’t seem to stop myself. 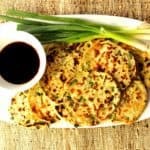 This recipe for Savory Scallion Pancakes is one I found in a cookbook I own called “The Chinese Takeout Cookbook” by Diana Kuan (pg. 37), and it’s pretty specific when it comes to the directions for forming, and rolling, the pancakes. However, if you know me (and if you’re a regular reader here), then you know I have a hard time following directions. LOL. Actually, I did follow the directions with the first half of dough. 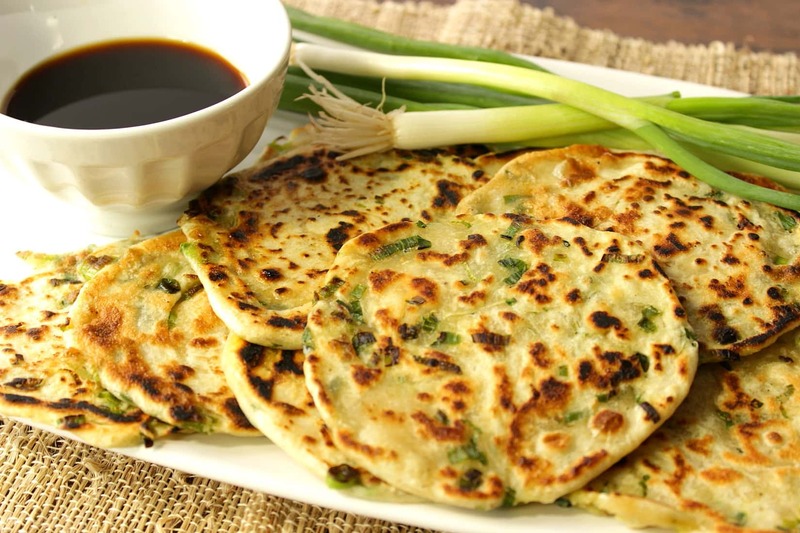 But after that, I blazed my own trails and rolled the Savory Scallion Pancakes in a way that I think worked just as well, even though it’s probably some sort of sin in Chinese culture (but I hope not). Since I don’t want to offend anyone, this is my disclaimer that I am only here to share recipes that I think my readers will enjoy, and can easily recreate. In the following video, you’ll notice that I share two ways to roll Savory Scallion Pancakes. The second way is my take on making the process a little easier. Watch and learn as I show you the two different ways I used to roll these pancakes, from there you can decide what way will work best for you. 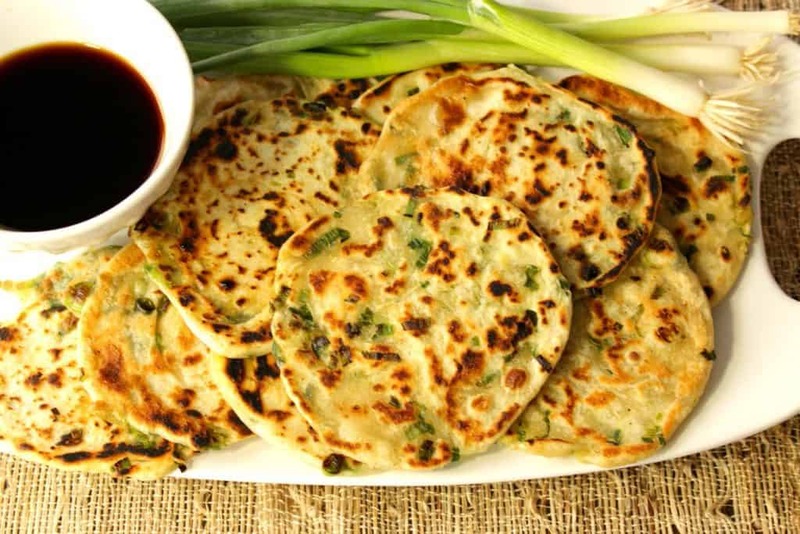 Savory Scallion Pancakes are thinly rolled pancakes that are packed full of chopped scallions. 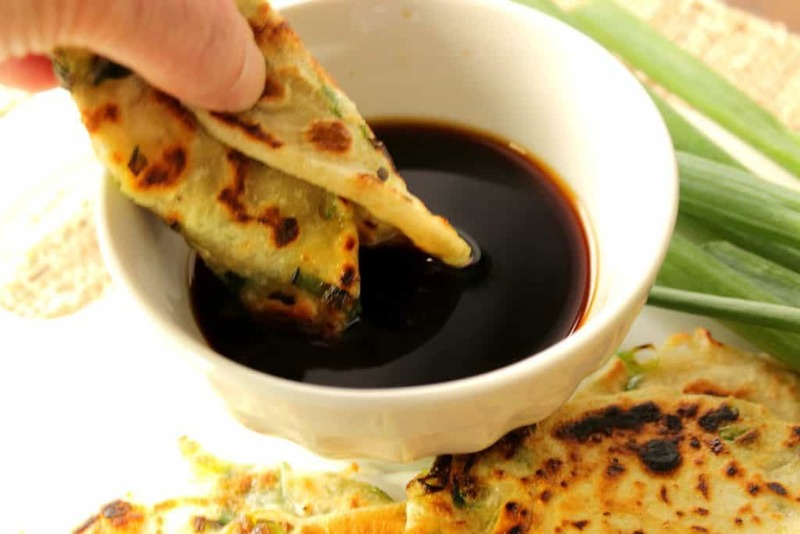 Serve them as an appetizer or side dish along with your favorite Asian dipping sauce. Oil the inside of a medium bowl and set aside. Whisk the flour, salt, and pepper together in a second medium bowl. Add the warm water to the flour mixture and knead with hands to fully incorporate, until a soft dough forms. Turn the dough out onto a lightly floured surface and knead by hand a few minutes. Place the dough into the oiled bowl and cover the bowl with a damp paper towel. Let the dough rest for 30 minutes. Divide the rested dough in half. Working with one half of dough at a time (cover the half you're not working with), roll the dough out into a 12 inch rope. Divide the rope into 6 equal pieces. Use a rolling pin to roll each piece of dough into a flattened disc (approximately ¼' thickness). *Note - to insure the dough rolls into an disc, roll the dough from the center out and rotate the dough during the rolling process. 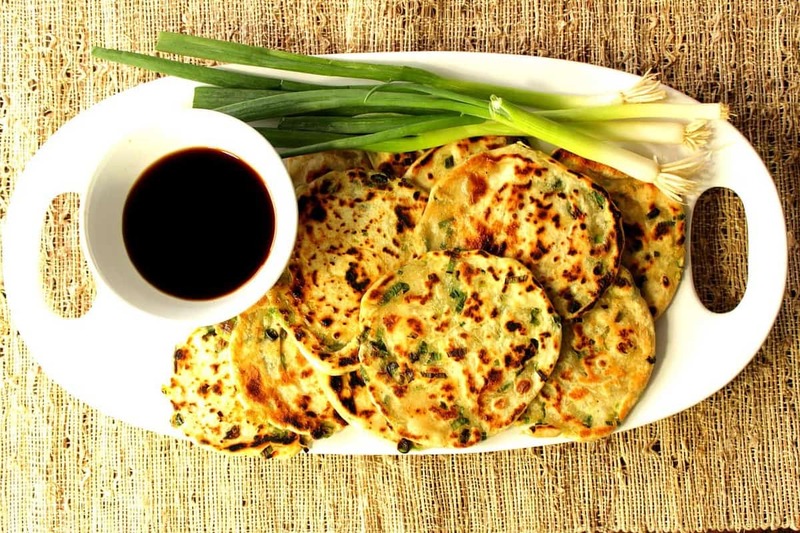 Brush the flattened pancakes with a touch of oil and sprinkle liberally with the chopped scallions. Roll the pancake to form a cigar shape. Start at one end of the cigar shape and roll the pancake into a tight coil. Use the rolling pin to flatten the coil shape into a ¼" disc. Stack the pancakes using oil between the cakes to prevent sticking. Hand knead the chopped scallions into the rested dough. Divide the dough in half and roll each half of dough out into a 12" rope. Divide each rope into 6 equal pieces. Roll each piece into a flattened disc. Brush each pancake with oil to prevent sticking and stack the pancakes until ready to cook. Heat a large, heavy skillet over medium/high heat. Cook the pancakes in the skillet for 2 minutes per side, flip and cook and additional 2 minutes to brown the other side. Serve warm with you choice of Asian dipping sauces. 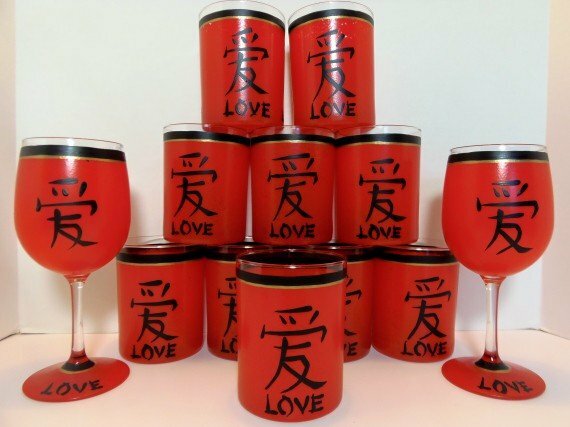 And lastly, this full set of Chinese symbol glasses that I painted for my entire family because my husband and I were getting ready to host a Chinese inspired dinner party, and I thought these would be a fun touch for the dinner table. All of my hand painted fabrics are completely machine washable (no fabric softener please), and painted with bight, vivid colors. And all of my hand painted glassware items are dishwasher and microwave safe, as well as being completely non-toxic. Special requests are always encouraged, and I will happily paint and design from any photo, idea, or description you send my way. If there is ever anything I can paint for you, please don’t hesitate to contact me for a price quote, or you can visit one of my shops: Etsy, Wazala, or Kudos Kitchen Paints. 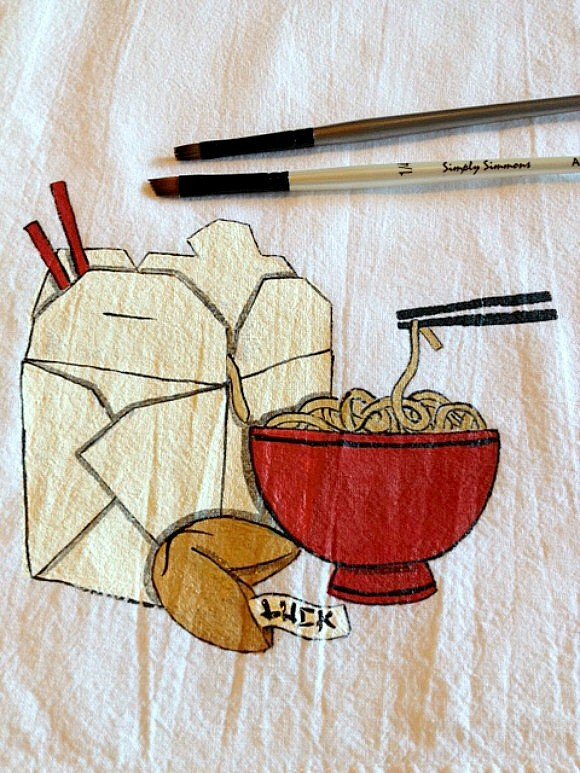 I love Chinese food too! I love this idea for savory pancakes. This is such a fantastic idea! 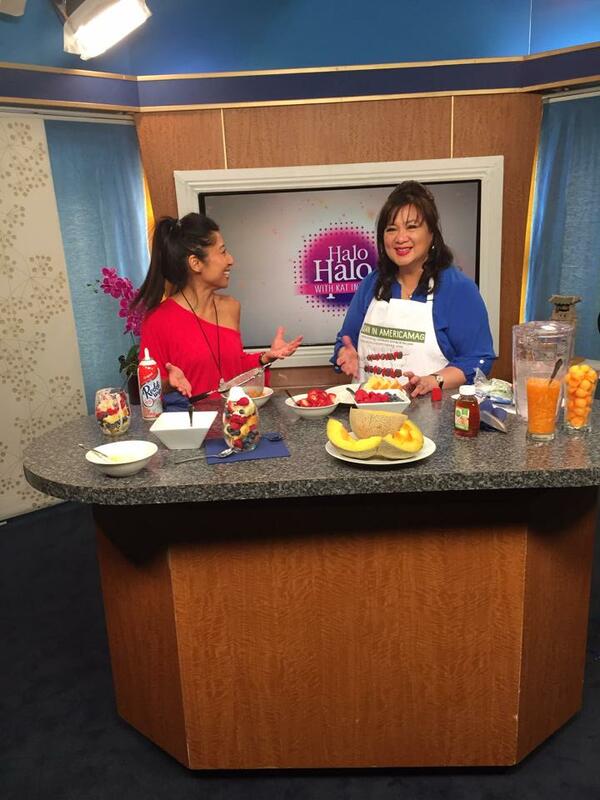 I go crazy for savory pancakes! 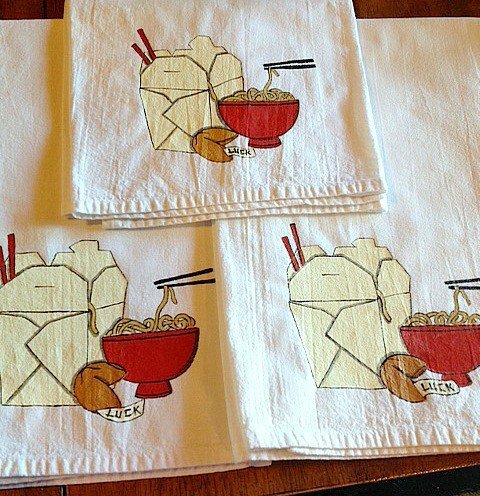 Oh my, these look incredible! And I love that tea towel! You are seriously so talented! Thank you so much, Michelle! I appreciate that! Those. Look. AMAZING! I just know that I’d eat more than my fair share of these savory pancakes. Savory pancakes I need you in my life!! First off, those pancakes look sooooo good! Secondly, you have some serious talent! Way to go, Girl! I love these pancakes! 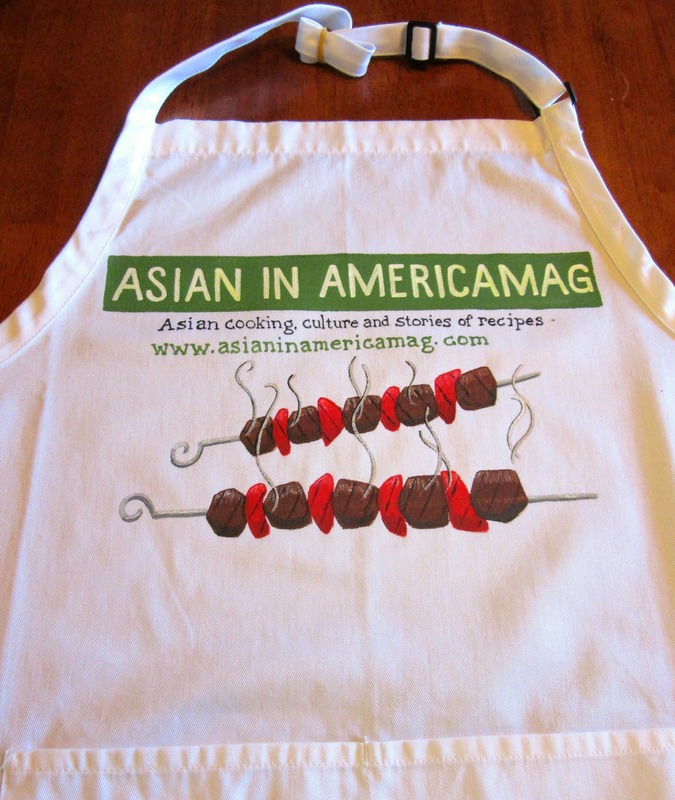 And your aprons are sooo cute! What a tasty side/app! 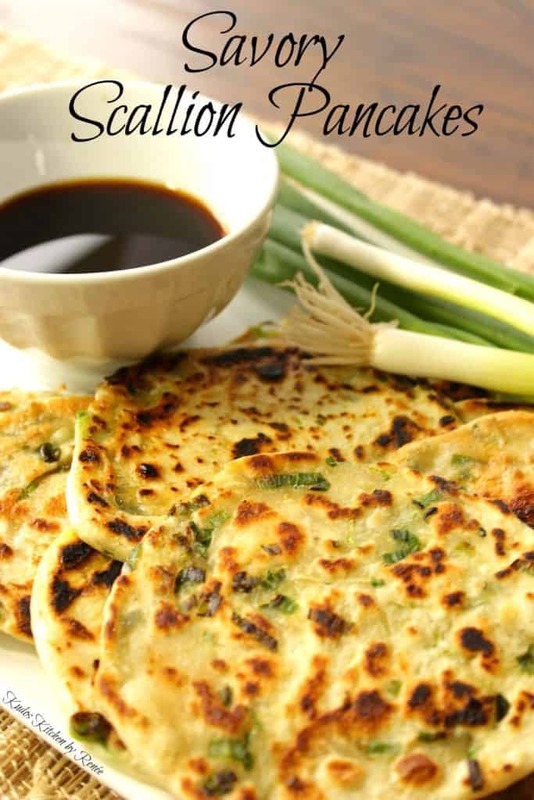 I love savory pancakes, and I’m betting that these are fabulous! Those look delightful. 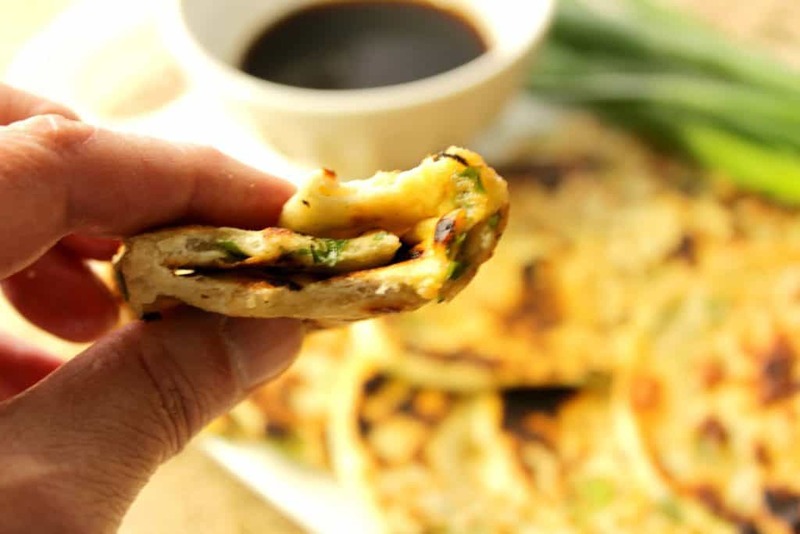 I’m not sure I’ve had scallion pancakes, but now I really want to try them. Love, love, love the flavor of scallions. 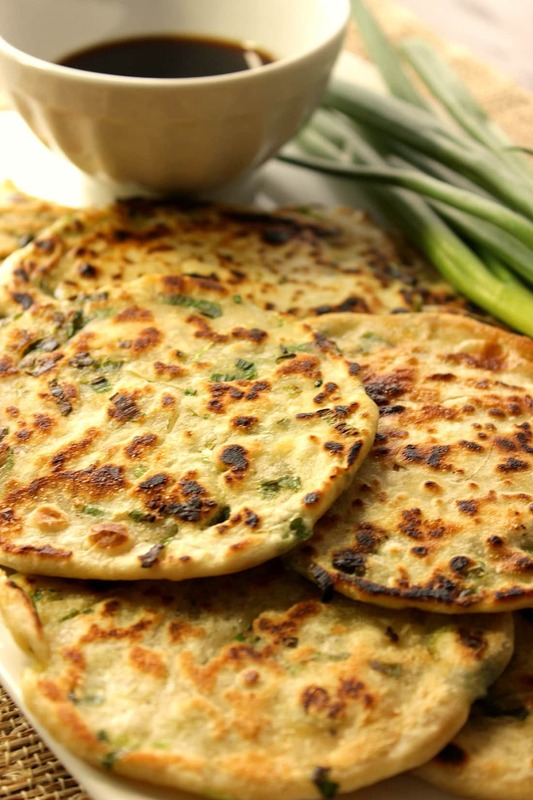 I love scallion pancakes…and the traditional way of making them definitely takes a little practice. I ripped through so many the first time I made them (fortunately they still taste good). Yours look like they turned out perfectly! LOVE these savory pancakes. They sound like a great snack to munch on when you have a craving but don’t want to get take out. 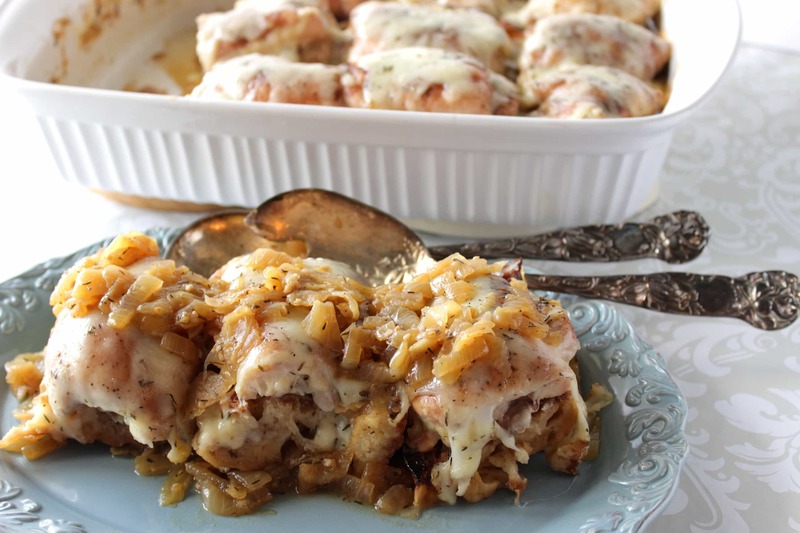 I’ve always wanted to try savory pancakes – pinning! Awesome! Thanks, Debra. I think you’ll love them! They look perfect!! Mine never ever turn out this good… :-/ But, I do love the combination of flavors! These pancakes look so good! 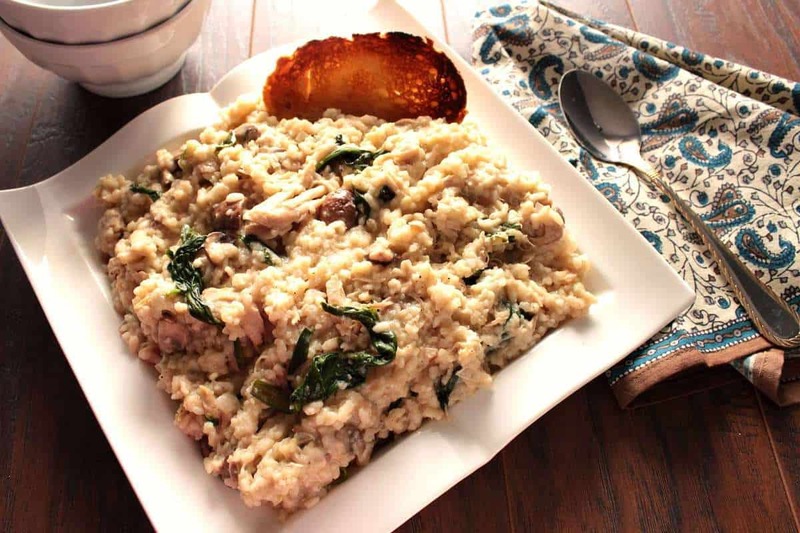 I wish I could pile them high with roast duck and hoisin sauce….yum!